Here are a few nice comments of late about our shoes. We truley do try and make the best there is. 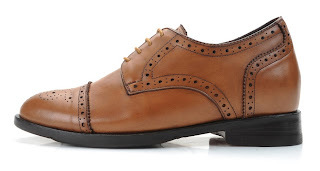 The Don shoe is the only designer elevator shoe on the web. Thanks for these amazing shoes and no worries about it taking so long I was just worried I was never going to get them. I will also be making a youtube review for them and also posting some pics on celeb heights soon. It has been over a year since I bought my first shoe from you and it has made a world of difference to my career, my sincerest thanks to you and I wish you and your family a wonderful festive season and new year. look forward to hearing from you Allan. The other shoes I got of you are fantastic, a year on they still look and feel brand new. Don't go anywhere, I'm going to be buying shoes off you for years and years to come! I got the shoes and they are amazing. Thank you so much! They are very comfortable and look great! I received the shoes in time. They are just beautiful! Just one day after Xmas..but here they are,delivered by mail this morning..Thank you,they look wonderful and a dream to wear. Happy Xmas and new year..Will come back soon for a few others pairs..Enjoy Thaïland lucky one! God is great and you are a wonderful shoemaker..Nothing to do with the other brands I had problems with.. I got the shoes today. They're good! I got the boots and they look and feel great. Thank you for the shoes. They are beautifully made and I think they are satisfactory. Just neeed some walking in. Received my shoes today and they look great! Thank you. They fit like a glove and look great! Thanks Allan. Yes, they look very high quality, and very comfortable. Thank you. Received my shoes today. Thank you. These are everything that I had hoped for. The quality and fit is perfect. It is with some apprehension when ordering from across the country of something that is so hard to fit in a store, let alone giving measurements that I was wondering how this would all work out but I could not be more pleased. It was well worth the money. I assume you keep a file on your customers with the their sizes because this will not be the last pair I will order from you. Thanks again and feel free to use this unsolicited note of gratitude to support a level of confidence to someone that may be considering a purchase from you. P.S. Thank you too for the prompt responses and constant communication. When almost all hope was run out, it arrived! And the they just fit perfect! Thank you so much for your incredible work on my shoes! You truly are a master of your craft. Even though it's summer here, I've been wearing my boots almost everyday since receiving them. Equally, my fiancé was thrilled with the other shoes, which I will be using for our wedding next month. Aside from me, who will most definitely order from you again, my dad was also very impressed and wants to order a pair of shoes from you as well. In fact, he would order a pair for my wedding, but he'd need those by June 10, which may be too short a time period. Thanks so much! I have just received the shoes this morning! I got the samba tributes you made for me and I love them! They are so comfortable. I'm pretty sure I'm just going to start buying all of my shoes from you now! Happy New Year mate! got the delivery for the first pair just now and i have to say they are gorgeous! definitely worth the wait . Shoes arrived before Xmas and the quality was superb. Thanks. I just received my shoes today and they are awesome! Very well-made and the fit is perfect. I especially like the arch. Thank you very much. I'm so happy with them that I just placed an order for two more pairs (order # 280)! I ordered a pair from you for my wedding day, and fell in love with your work. This is the mad frenchie.. I have a huge problem..??? I cannot wear anything else than your shoes.. I just received the first shoes and took a walk in them. They look and feel wonderful, you're the best, thank you! Looking forward to trying the boots when they're ready. 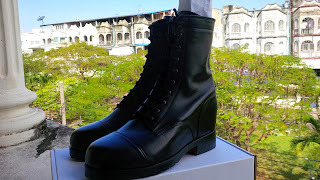 Hi Allan, got the denim boots today, they are remarkable! Thanks so much. got my first pair yesterday, after wearing them in. I can guarantee to anyone that the midsole tech shoes wear like normal shoes, a huge improvement on the old elevators! Cheers on research and development on those shoes!